Is your hair looking limp, greasy or lack-lustre? Nutrition plays a major part in maintaining healthy tresses. Fast food, the contraceptive pill and stress can all deplete essential vitamins and minerals which are vital to maintain healthy, shiny hair. 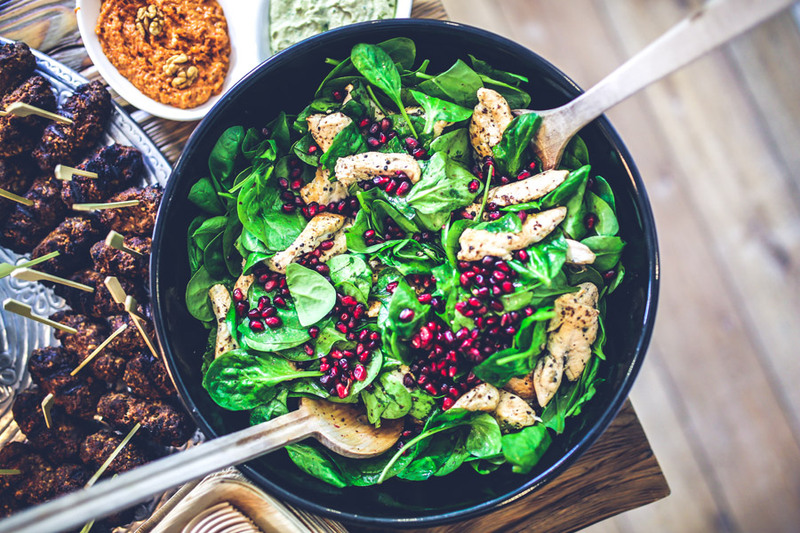 Most nutrients can be obtained from eating a good balanced diet, but keep these tips in mind says Benessere’s Director Fran when choosing what to put on your plate. If you’re losing your hair, or notice it’s not growing at the rate should be, you may have an iron deficiency, also known as anaemia. Iron is an especially important mineral for hair and too little iron is a major cause of hair loss. With more and more of us reducing our meat intake our iron levels can suffer. Anaemia disrupts the nutrient supply to the follicle, affecting the hair growth cycle and may result in thinning and loss of hair. Avoid this by incorporating foods containing high levels of iron into your diet such as red meat, chicken and fish. If you’re a vegetarian, raise your iron levels with a diet containing foods such as lentils and leafy green vegetables including broccoli, kale and spinach. Dairy products are a great source of calcium. However, if you are prone to dandruff or a dry scalp, dairy can trigger the conditions. Try substituting full fat milk with skimmed milk or an alternative to dairy such as soy or almond milk. Zinc keeps your scalp hydrated and your hair strong and supple. Seafood, whole grains, eggs, nuts and poultry are excellent sources of zinc, so ensure you include these to avoid hair breakages and itchy scalp. Your scalp, just like your skin, can become dehydrated. Drink approximately 1.5-2 litres of water a day depending on your activity level and climate. Excessive alcohol will dehydrate your body affecting your hair, skin and nails. So be careful of that tipple. If you have dry or brittle hair, or a dry or scaly scalp, you could be deficient in essential fatty acids. Remember not all fat is bad. Our body needs essential fats which have many vital roles including maintenance of healthy scalp and glossy hair. Oily fish, raw seeds and nuts, cold-pressed flaxseed oil and avocadoes all supply good levels of healthy fats. Hair is made up of 80% protein so including plenty of lean protein will keep hair strong and healthy. Protein is also great for preventing thin and brittle nails. Eat lean poultry, fish and beef, as well as spinach and other leafy greens and vegetables. And finally, stress can impact on your hair, skin and nails by leading to inadequate vitamin and mineral absorption so take particular care with your diet in times of stress if you want to keep those luscious locks. *Always consult your doctor when making changes to your diet.